Spring season consists the month of March, April, and May, in which months are the perfect months for making Everest Base Camp trek In Nepal. Everest Base Camp Trek up to the mighty Mt. Everest offers its own astonishing, and remarkable moments in once life, which will live in the heart and minds of the trekkers. 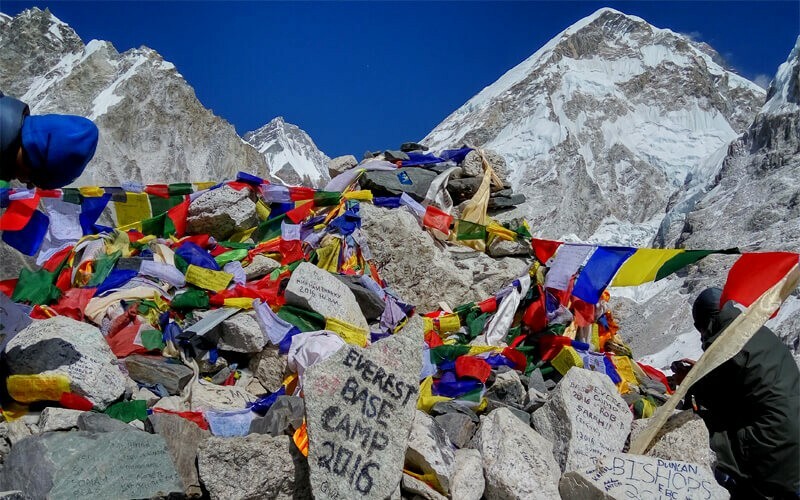 The weather of Everest Base Camp is one of the most unpredictable elements that trekkers should know before making Everest Base Camp Trek in Nepal. In the spring season, the days are quite long as compared to other seasons in Nepal. Spring season is the season of blooming, where travellers can witness a variety of flowers are blooming on the way during their trekking. The blooming surrounding will add more excitements to your trek. Due to pleasant weather and moderate temperature, many trekkers or travellers prefer this season as an ideal season to explore Everest Base Camp in Nepal. In the April season of Everest Region, the temperature is moderate and keep increasing temperature in a day. In this month, there will be a maximum of 10 degree Celsius in a day while -10 degree Celsius at night. The month May is the end of the spring season, in which the maximum temperature is 15 degree Celsius in a day and -6 degree Celsius in a night. In this month the weather is warm and a bit humid in the Everest Region of Nepal. In this month the possibilities of rainfall are quite impossible, even though sometime there might be rainfall in the ending part of the season. Is spring the best time to explore Everest Base Camp? Spring season is one of the best times to explore Everest Base Camp in Nepal. In this season, there will be relatively less precipitation in the Everest Region of Nepal, where trekkers will get a golden opportunity to have a stunning view of mountains during their trekking days. The weather is clear and the environment is so pleasing that everywhere they can witness blooming flowers along the side of trekking trail which will add more excitements and energy to trek in the higher altitude of Everest Base Camp. So, most of the trekkers make spring season as their ideal season to explore and trek in the Everest Region of Nepal. Summer seasons consists of three months of the year that include June, July, and August. Many trekkers around the world prefer to trek in the summer seasons. While talking about the weather in this season is very clear to have amazing scenery of the Himalayas from the Everest Base Camp and during the trekking days. Considering temperature in this season is too hot, even though frequent rain makes the lower part of the trail muddy, slippery and wet. In this season, days quite longer and nights are shorter as compared to other seasons of Nepal. Due to heavy downpour environment in the Everest Region of Nepal, most of the trekkers don’t desire to make their vacation trip. While talking about the weather and temperature of this season, the season is less preferred because weather is foggy and there will be greater chances of covering stunning views of the Himalayas by cloud. The visibility of the Himalayas is quite difficult in this season. In June the temperature will be 16-degree Celsius maximum in a day while -1 degree Celsius in the night. In June and August months, the temperature is slightly different, in a day there will be 15 degree Celsius while -2 degree Celsius in a night. If you are peace lover and eager to make trekking vacation towards the world highest peak (Everest Base Camp), then this season is perfect for you. Usually, the summer season is considered as an off-season to make Everest Base Camp trek in Nepal. If you are a keen lover of solitude and desire to discount for Everest Base Camp trek package then this season is the perfect time to make our vacation trip to Everest Base Camp in Nepal. In this season, sometime there may be occasional interruptions in Everest Base Camp trek in Everest Region of Nepal due to uncertain rainfall. In such a case, Frolic Adventure will extend extra days in your itinerary of Everest Base Camp Trek. In this season, early morning there will be clear whether that is why trekkers should trek early in the morning to have clear and amazing views of the Himalayas. You have to follow some instructions of your guide. Autumn seasons consists of three months of the year that include September, October, and November. Many trekkers around the world prefer to trek in the Autumn seasons. While talking about the weather in this season is very clear to have amazing scenery of the Himalayas from the Everest Base Camp and during the trekking days. Considering temperature in this season is not too cold nor too hot. Due to perfect temperature and weather, Everest Base Camp trek is mostly crowded in this season because most of the trekkers come to visit and make their trekking destination. In this season, some trekker may not prefer to trek Everest Base Camp who really loves peace and calm environment. In this season, the temperature of Everest Base Camp is 15 degree Celsius in a day and 2 degree Celsius in the night. The month of September is the beginning of the autumn and end of the summer season in Nepal. 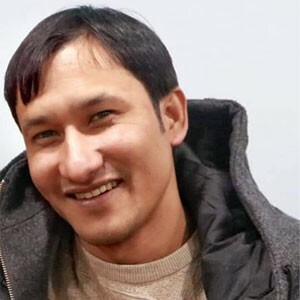 In this season, there will be unpredictable weather, wherein most of the case the temperature will be 15 degree Celsius in a day and 2 degree Celsius in a night in the Everest Region of Nepal. Most of the trekkers preferred to trek in the month of October because in this month the temperature is maximum 12 degree Celsius in a day and -9 degree Celsius at a night. The month November comes at the end of the autumn and the beginning of winter in Nepal. In this month, the temperature will be slightly moderate, where the temperature will be maximum 6 degree Celsius in a day and -15 degree Celsius in a night. So, trekkers should have proper gear such as sleeping bag and warm clothes while trekking in this month to Everest Base Camp trek in Nepal. This month, you can breathtaking views of the Himalayas and Everest Base Camp in high definition. Autumn season is best known for its stable and clear weather and not too cold and not too hot temperature. Due to great and clear-cut visibility of the stunning Himalaya ranges, most of the trekkers prefer to make their vacation trip in the autumn season to explore the world highest peak (Everest Base Camp) in the world. In this season, there will be excessive crowed due to the numbers of trekker in the Everest Region of Nepal. This season may not be ideal for those trekkers who love peace environment during their trek to Everest Base Camp. Winter season consists of the month December, January, and February, which are the coldest season of the year in Nepal. This season falls between after autumn and before spring. In this season, the days are shorter and the nights are longer as compared to another season of the year in Nepal. In this season, most of the trekking trail of Everest Base Camp is dry and the temperature is bearable in the low altitude of trekking trail. In the Everest Region, the average temperature range around 20 degree Celsius in a day and -17 degree Celsius in a night. At night, you might experience freezing cold, so you have to care about proper gear before going for trekking to Everest Region in this season. As compared to another season in Nepal, Winter season is a least preferred season because, at the higher altitude, there will be heavy snowfall which will make your trekking quite challenging as well as tough in Everest Base Camp trek in Nepal. The weathers and temperatures of the Everest Region in Nepal are varying according to the seasons. Although all seasons are perfect for Everest Base Camp trek, trekkers should know which season is the best suit for them to explore Everest Bas Camp. By looking above mention weather and temperature data, you can organize your vacation trip and pack all the essential gears according to the seasons.